Corporate wellness: defined as a type of activity or policy supporting healthy behavior and improved health outcomes in the workplace. What kinds of corporate wellness programs would be right for your company? The answer to that question depends on your needs: what you expect, and why you are implementing the program. Consider the following corporate wellness questions as you think about what the role of corporate wellness could be for your company. Will you look for reporting, screenings, and preventative education? Onsite preventative screenings are a baseline strategy for many companies seeking to prevent the high cost associated with long-latency diseases up-front. Preventative screenings show signs for common long-latency conditions such as heart disease and cancer. Reporting can be tracked through a comprehensive reporting system which helps employees track their starting point, progress, and accomplishments. Preventative education can come in a variety of forms, such as newsletters to employees that offer fun trivia and health tips to help on the journey to success. Do your employees have a need for smoking cessation and disease management? If you are concerned with decreasing unhealthy habits leading to cancer and serious long-term conditions, smoking cessation or disease management are options to explore. Wellworks For You offers a 6-week program for smokers seeking to quit, the content of which includes information, practical tips, and peer support. 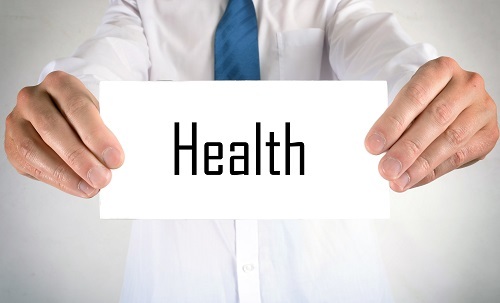 Our disease management program utilizes a unique approach which combines Health Risk Assessments and individualized health coaching, using our health informatics system, to ensure a high level of knowledge about the patient and validity of care. The next corporate wellness question builds on these through positive strategies to build health. Will you focus on diet and exercise? Diet and exercise comprise the major components of any health and wellness journey. There are many ways to incentivize these by institutionalizing options and programs in your company. For example, our Lunch and Learns consist of 30-60 minute workshops on a variety of topics to support employee choices. A few titles have been: “Quick Healthy Meals,” “Good Carbs vs Bad Carbs,” and “Physical Activity at Work.” Our Pedometer program has been a popular option for businesses interested in incorporating more physical activity into the company culture. Whether you’re a business with corporate wellness programs already in place and want to build your platform, or you’re just starting out on your corporate wellness journey, Wellworks For You can answer any of these three corporate wellness questions with programs appropriate to your needs. Please see our programs page or call 610.422.3502 for more information.